We have started to carry an incredible new designer! We just opened up a new box of gorgeous! We recently have started carrying pieces by Sarah Mulder. Sarah is a Canadian artist out of Vancouver, BC. She uses 14kt gold and silver plated finishes. 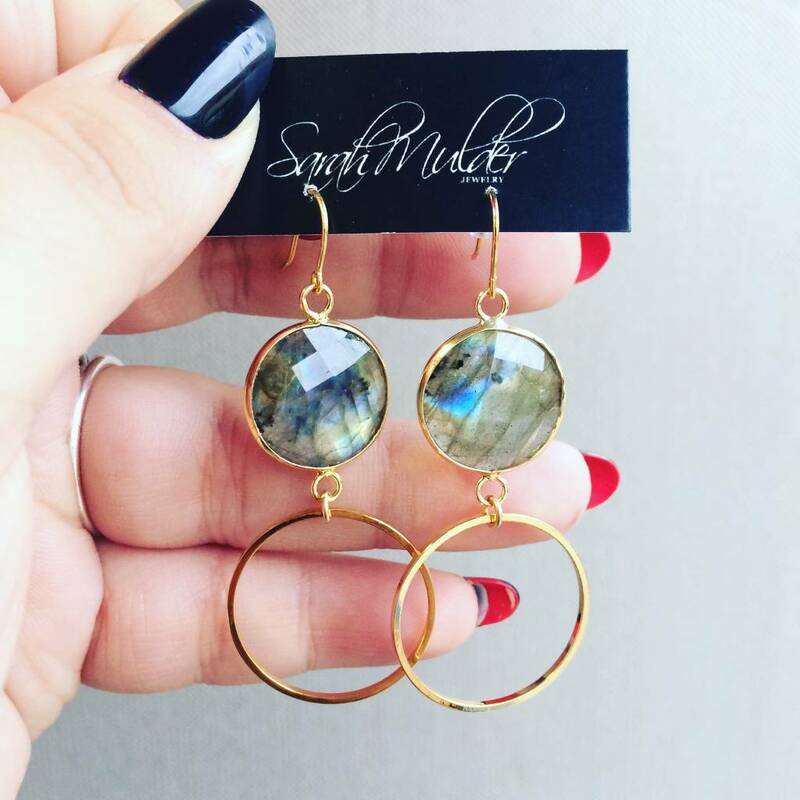 Her work with Labradorite and Moonstone is absolutely breathtaking.